Spaceflight Promotes Biofilm Formation by Pseudomonas aeruginosa – PLOS ONE – microBEnet: the microbiology of the Built Environment network. 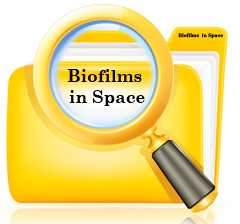 Had to post about this recent paper that came out in PLOS ONE, “Spaceflight Promotes Biofilm Formation by Pseudomonas aeruginosa“. Obviously we’re thinking a lot about bacterial activity in space, apropos of our Project MERCCURI work. Really the title says it all here. Biofilms are awesome. Space is awesome. Turns out that biofilms in space are even more awesome.